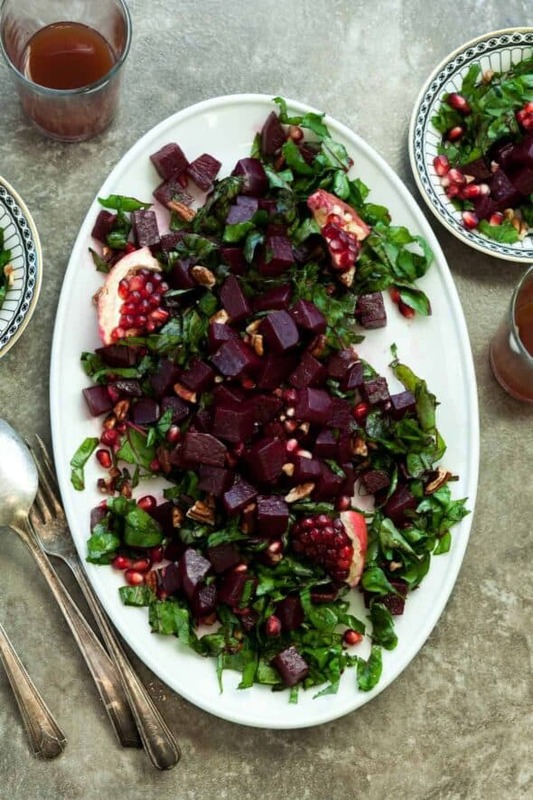 Bring a pop of color to your holiday or dinner table with sweet-tart pomegranate glazed beets served over their own greens. 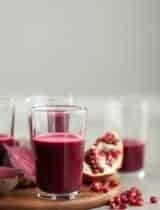 As far as food likes and dislikes go, beets tend to fall in the latter category. If asked, most would probably recall the rather miserable taste of their not so pleasant encounters with the jewel-like vegetable. I admit that I struggled to appreciate beets as well in the past until I discovered that it was all in the preparation. To fully appreciate the potential of the much maligned root you need to coax out its sweet side. Whether that’s roasting it, juicing it, throwing it into a salad, or as is the case this time – glazing it. Coating the beets with a sweet-tart pomegranate glaze helps to cancel out their earthy undertones and let their inner, candy-like sweetness come through. What you end up with are beets that are glossy and tender, with a ruby-like color and not a hint of that dirt-like flavor that can ruin a good beet dish. 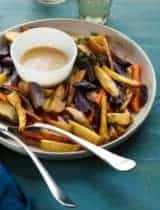 Glazing vegetables is one of those easy cooking techniques that doesn’t get mentioned often enough. 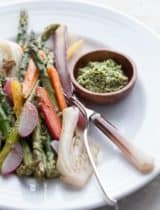 It’s a saving grace around the holidays when you already have a full oven to plop a pan on the stove-top and let it do its thing while you go about your business, but it’s just as nice for an ordinary weeknight meal. The key is to find a pan large enough to fit all the vegetables snugly in one layer, then add just enough water to come about halfway up but not fully cover the vegetables. Then you simply slap on the cover and let the whole thing simmer gently until the glaze starts to form, at which point you take the cover off, give the pan a good shake or two and you are done. It’s also an easy recipe to save if you happen to go wrong. Put too much water the in the pan to start and your beets are cooked before the syrupy glaze forms? Simply strain the beets, and continue to cook down the glaze until syrupy. 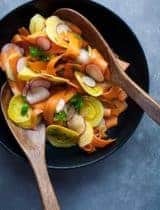 Or if you went the other way and find you don’t have enough water, simply add more to the pan if you notice the beets getting dry before they are fully cooked. 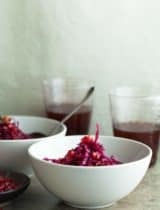 Now you can certainly stop here and serve the pomegranate glazed beets on their own as a side or take them one delicious step further and toss them into a hearty cold-weather salad made with their own greens. Beet greens like kale stand up well in a salad but are more delicate in taste and texture. 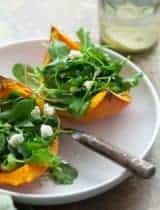 They are a natural pairing with the glazed beets and a great way to use the whole vegetable, so be sure to buy a bunch with good looking greens attached. Of course if you can’t find beets with the leaves still attached you can also substitute kale or spinach. 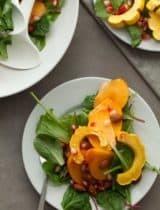 Add a handful of toasted pecans and a sprinkling of fresh pomegranate seeds and you have yourself a holiday salad with lots of tastes and textures that is sure to please. 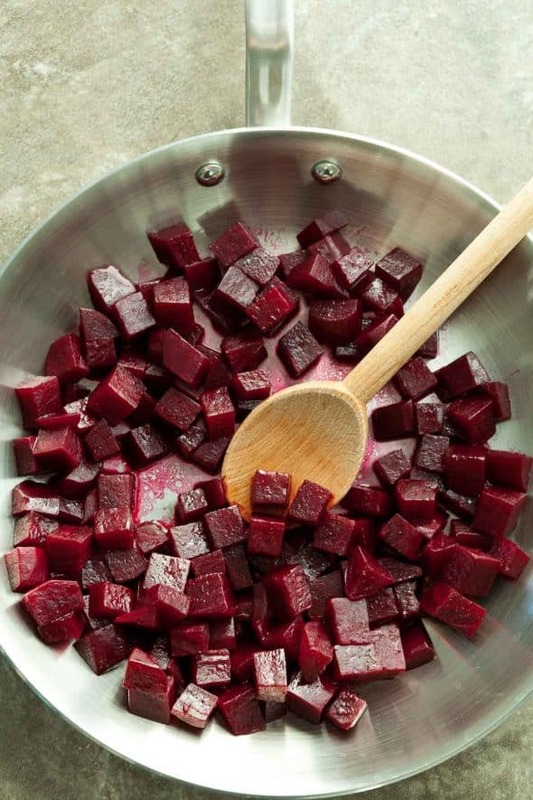 Spread the diced beets in a wide shallow skillet (about 10-inches) so that they are snugly arranged. Add the coconut oil, pomegranate molasses, maple syrup, salt, and enough water to come about halfway up the beets (about ½ a cup). Bring to a boil, lower to a simmer, cover and cook for 15 minutes. Meanwhile, spread the pecans on a baking sheet and toast in the oven until fragrant (about 5 minutes). Let cool and coarsely chop. 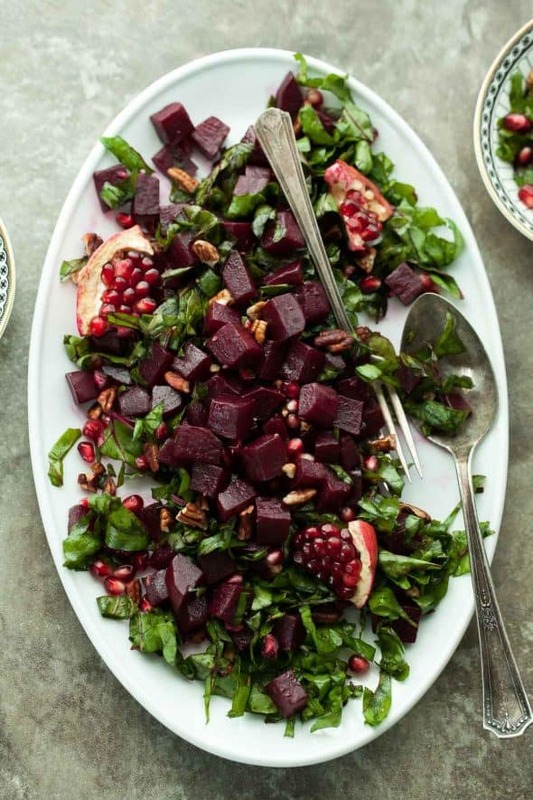 Top greens with glazed beets, chopped pecans and pomegranate seeds before serving. 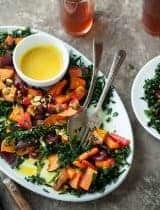 Such a beautiful salad perfect for the fall. Gosh this salad is lovely! I would eat this any day, but it would be such a nice addition to the holiday table. Love everything about it! My mother loved beets and she passed that love on to me. This is going to be made soon in my home - yum!